Change it up this Valentines Day with our super popular rainbow roses accompanied by an adorable teddy bear for an extra touch of `cute`. 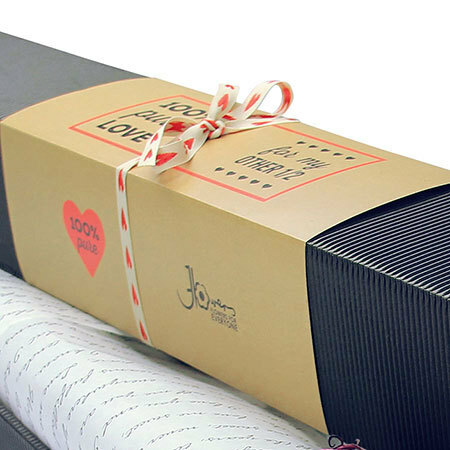 These fabulous 60cm long rainbow roses come nestled in a stylish box wrapped in our signature `Love Me Tender` lyrical print tissue paper. Plus order our half dozen rainbow roses with teddy bear and receive a FREE fragrant Ecoya candle worth $19.95! EARLY LOVE BIRD OFFER: Order your teddy bear and rainbow roses delivered the day before Valentine`s Day (Monday 13th February) and receive FREE DELIVERY! 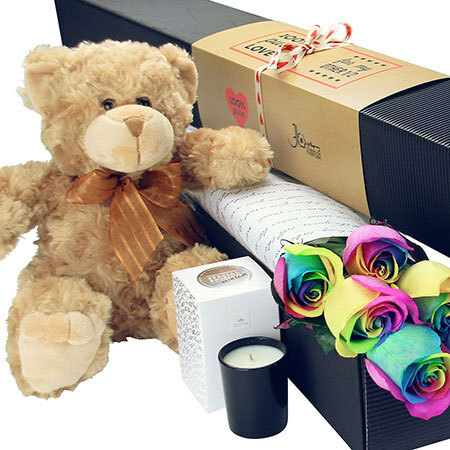 Order your rainbow roses and teddy bear now for Valentines Day via this online florist store, email our fabulous love cupid floral consultants at sales@flowersforeveryone.com.au or give us a call on 1800 66 66 46.